Little ones accumulate quite the collection of bottles, cups and straws as they grow, and it can be a challenge to keep every nook and cranny of their drinking accessories clean. 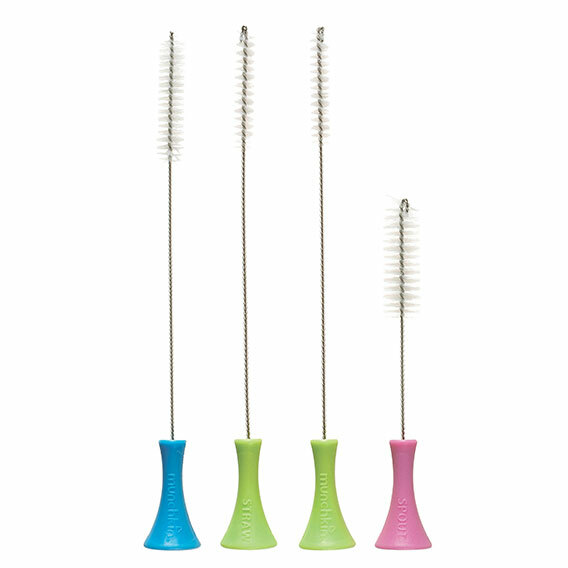 Now you're covered with the Munchkin Cleaning Brush Set - a handy foursome of small brushes for washing all those hard-to-reach cup and bottle parts like valves, straws, and spouts. These four precision brushes have wide, colorful bases, so they stand upright on the countertop for both easy access and quick drying. They're perfect for scrubbing everything from sippy cup straws and spouts to breast pump parts - so you can ensure that your kids' cups are sparkling clean and ready to use at a moment's notice.